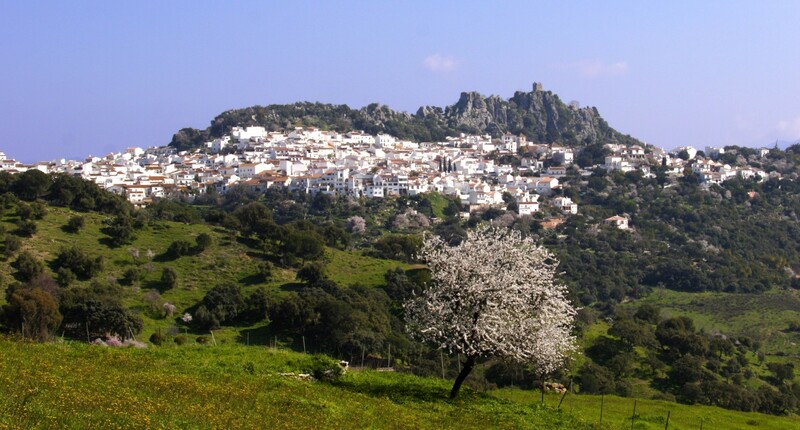 Gaucin is a beautiful white mountain village, part of the Serranía de Ronda. 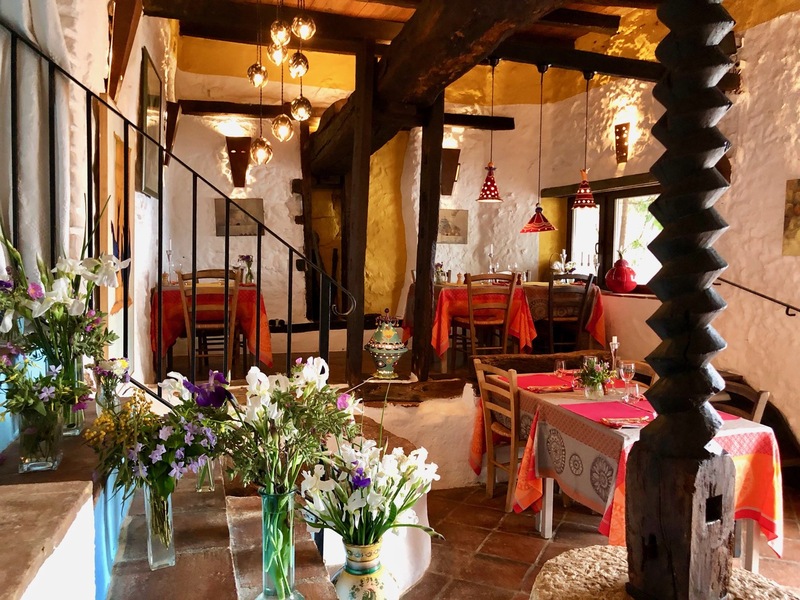 The Hotel La Fructuosa is in the centre of this lovely village, offering a calm, cosy atmosphere and spectacular views from each of the five large and comfortable rooms and its terraces, of the Genal Valley and extending to Gibraltar and Morocco. On the ground floor, an ancient wine press, served for many years to provide wine to the owner family and neighbours. The press has been preserved, and it is now an impressive feature of the restaurant. Breakfast, as well as the delicious dishes of the renowned chef Mariano Ruiz, can be also tasted while enjoying the breath-taking view at the terrace. 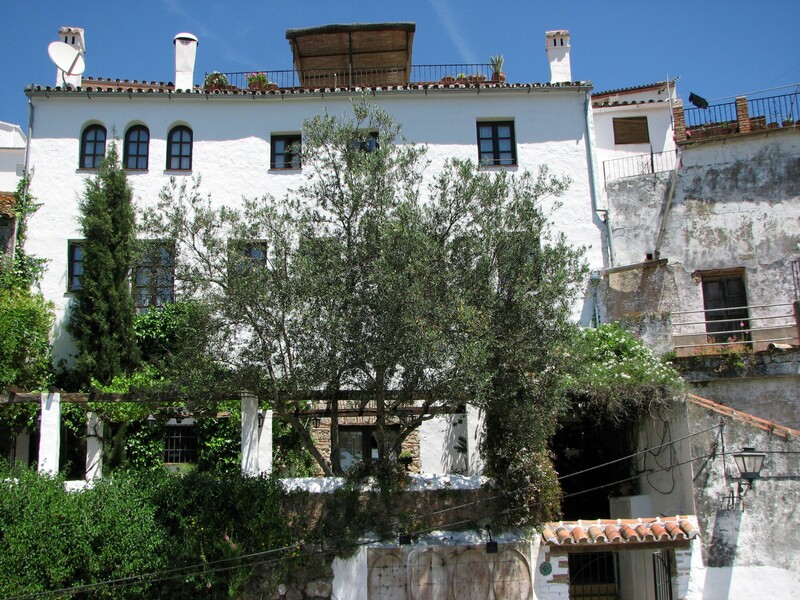 Almendros is situated on the first floor of the house. It is spacious and comfortable, with a queen size bed and an en-suite bathroom (bath tub with shower, basin, toilet and bidet). There are a lot of almond trees in our region and, in February, their blossom in wonderful. A detail of Vincent van Gogh’s famous “Almond Blossom” painting covers a wall of the room. The room enjoys the spectacular views that have made Gaucín famous. From the windows, one can see at the same time two continents, three countries, the Mediterranean Sea and the Atlantic Ocean. The room is equipped with a flat-screen TV set with both Spanish and international satellite channels. Central heating is also installed in the room. Wireless internet connection is available everywhere in the hotel: rooms, restaurant and terraces. 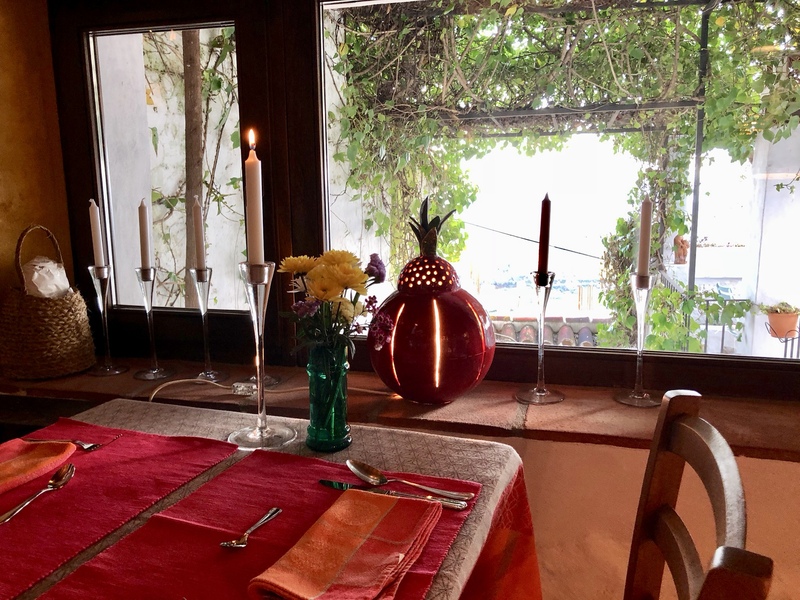 El Jardin is situated on the first floor of the house. It is spacious and comfortable, with two large (105 cm) single beds and an en-suite bathroom (walk-in shower with marble tub, basin, toilet and bidet).It also has a foldable sofa-bed where two more persons can sleep. This is where the 3 rooms of the original Pension La Española were located in the 1940s to 1960s. One of the walls has been decorated with a wallpaper of French artiste Nathalie Lété. The room enjoys the spectacular views that have made Gaucín famous. From the windows, one can see at the same time two continents, three countries, the Mediterranean Sea and the Atlantic Ocean. 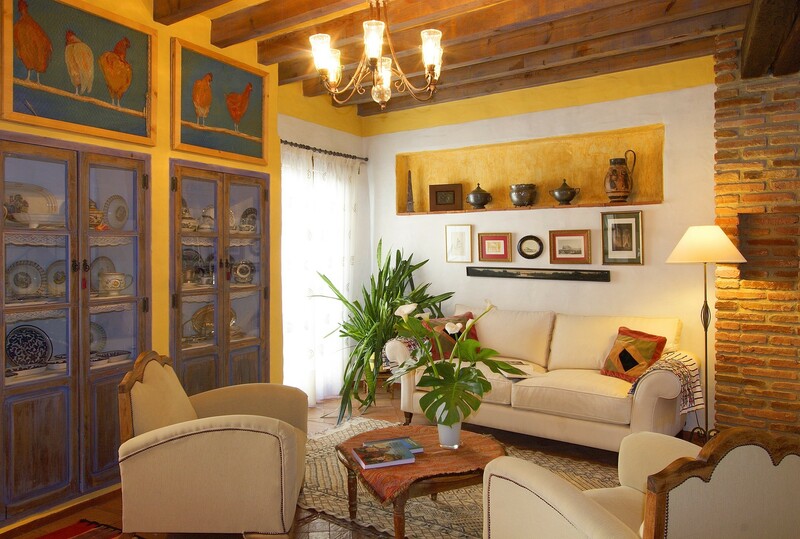 Las Aves is situated on the second floor of the house. It is spacious and comfortable, with a queen size bed and an en-suite bathroom (bath tub with shower, basin, toilet and bidet). It also has a foldable sofa-bed where a child can sleep. 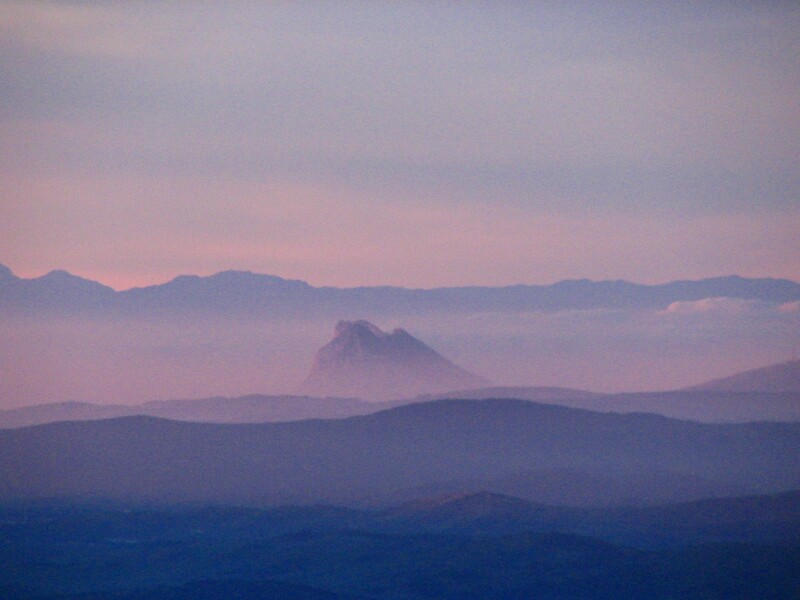 It enjoys the spectacular views that have made Gaucín famous. From the windows, one can see at the same time two continents, three countries, the Mediterranean Sea and the Atlantic Ocean. 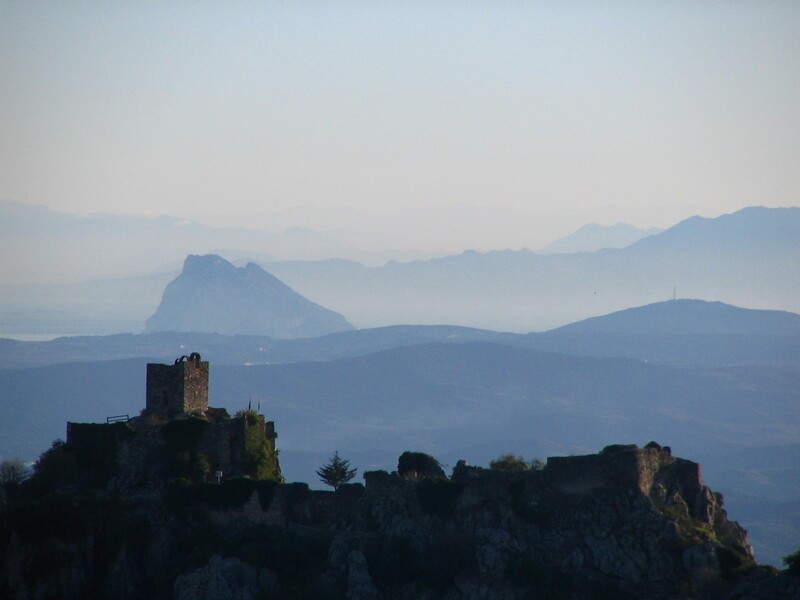 Its name refers to the numerous birds flying across the Strait of Gibraltar, over Gaucin’s roofs, making of Gaucin a regular destination for ornithologists and bird lovers. One of the walls is decorated with a wall-paper designed by American artist Claire Keane. El Pueblo is situated on the second floor of the house. It is spacious and comfortable, with a queen size bed and a large en-suite bathroom (large walk-in shower, two basins and toilet). One of its walls is decorated with a blown-up copy of Spanish artist Piluca’s commissioned painting of Gaucin. La Fructuosa’s cuisine has always been rooted in tradition and the quality of our mostly locally sourced products. Our recipes are regularly renewed, and new creations added to the menu to offer diners a culinary experience and a tribute to Andalusian cuisine and Spanish culture. Our chef, Mariano Ruiz brings his experience, his talent and in-depth knowledge of local quality producers to our restaurant. Friday, Saturday, Monday and Tuesday evening.